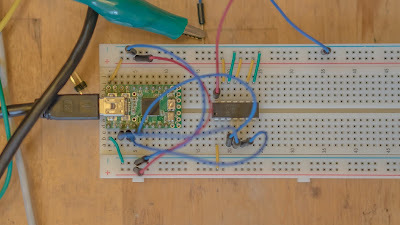 The MCP4922 is a 12-bit, two channel, SPI-based DAC - and can be easily connect to a studio setup using a Teensy via MIDI!This is an easy way of adding a 0 - 5V or 0 - 3.3V 4096-step DAC to a MIDI sequencing environment. 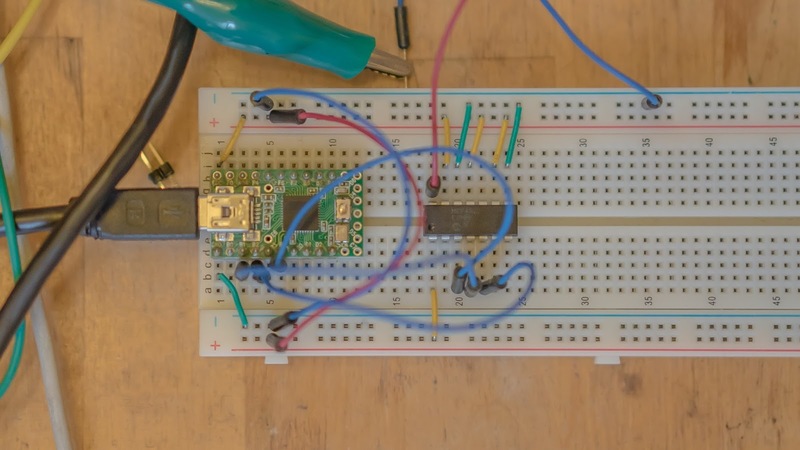 The cost of these chips is relatively low - around AUD$3 per chip or $1.50 per DAC channel - and they don't require any additional components for basic implementation. 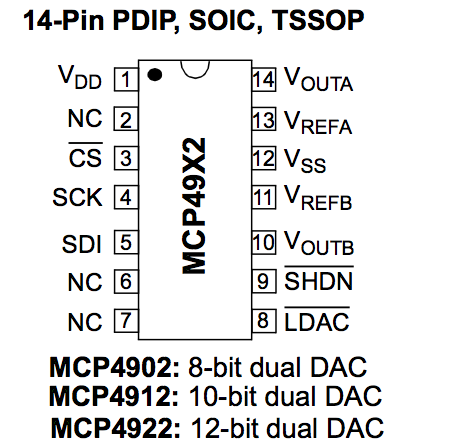 The SPI library can be used to easily write data to the DAC. 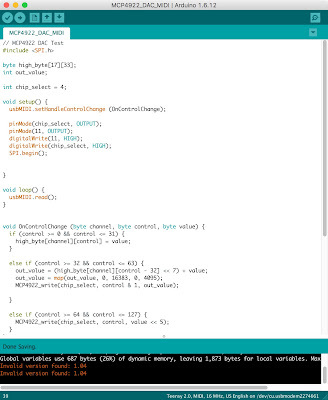 In the example below, a function is written that has a chip select pin value, a DAC channel value and a DAC output value between 0 - 4095. 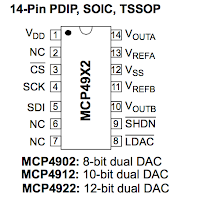 This function writes to the SPI bus and updates the DAC output. 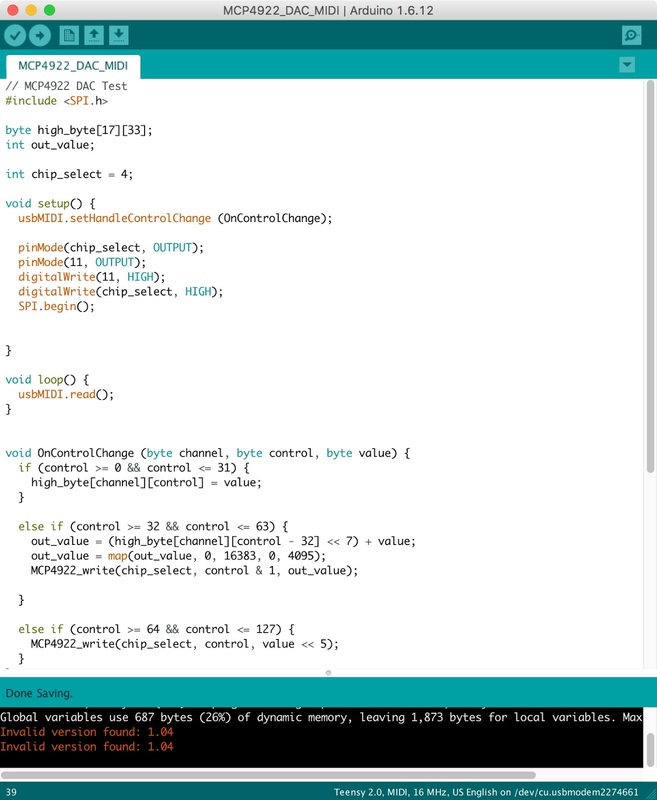 This function is then connected to MIDI via MIDI control messages. This particular sketch supports both high res MIDI and normal res MIDI.